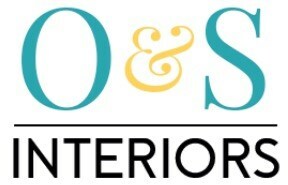 O&S Interiors - Bathrooms, Bedrooms, Carpenter, Kitchens based in Walker, Tyne and Wear. With over 40 years combined experience, O&S Interiors deal in all variations of joinery and internal fitting work ensuring each project is tailored to the individual and completed to our consistent high standard of workmanship. We specialise in and have a passion for kitchen fitting with this being our most sought-after skill. We undertake all joinery work from domestic requirements such as kitchens or fitted wardrobes, to large scale projects for public houses, food establishments and retailers. We can cater to all needs and requirements, big or small. Previous completed projects include fitting kitchens in show rooms across the country for large scale manufacturers as well as working in private homes on bespoke and retail kitchens. Our varied and vast experience in joinery means we can accommodate any requirement from installing a new internal door to a full joinery package on a new housing development. We provide free, no obligation quotations and would be happy to discuss any requirements to see how we could be of assistance. You can also visit our Facebook business page.